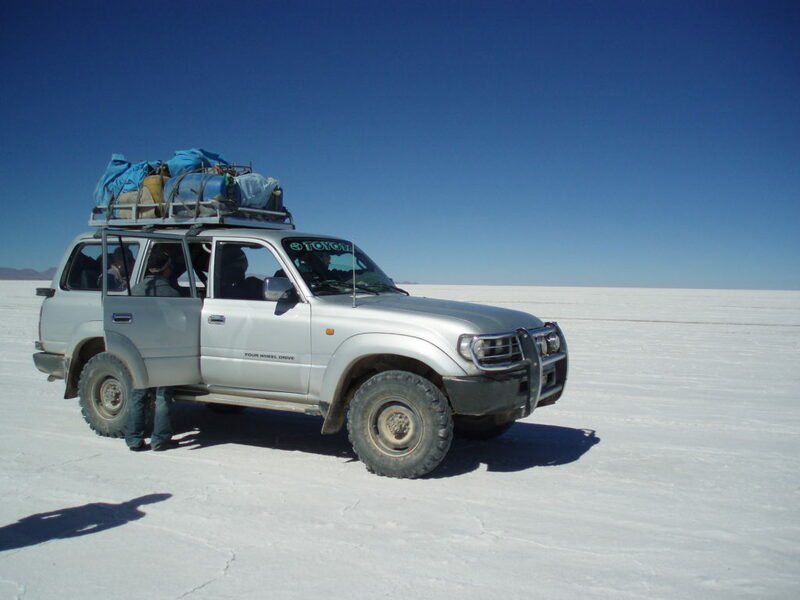 Uyuni Salt Flat in Bolivia is the largest salt flat in the world. The only way to see it is by going on one of these jeeps navigated by experienced drivers/guides through this otherwise disorienting landscape where every direction looks the same. The day was sunny but bitingly cold and there were many other jeeps cruising around like specks of metal in a vast whiteness. As our jeep sped toward the horizon where the crystal clear blue sky meets the blinding white land, I realized that this was a surreal experience never to be forgotten. PreviousDo you travel to complain? NextAsk GoMad Nomad: Is Mexico Safe?